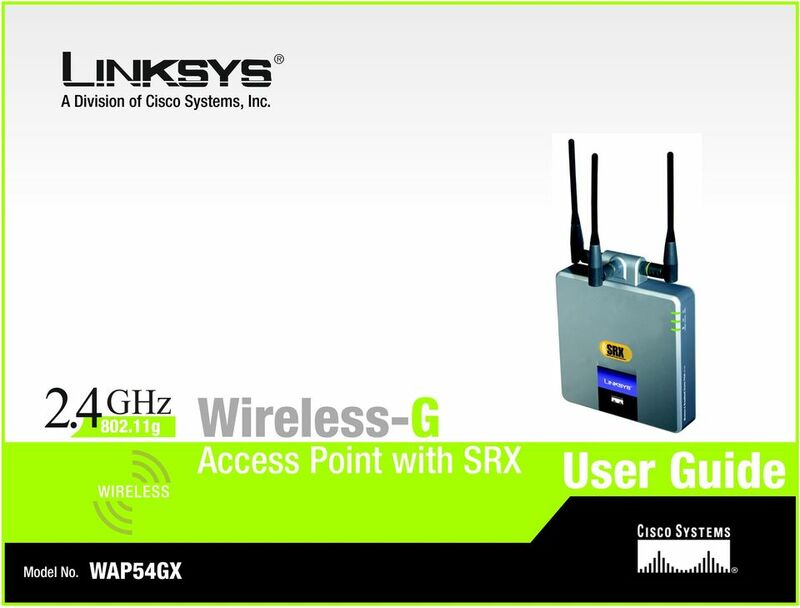 A Division of Cisco Systems, Inc. GHz g. Wireless-G. Access Point with SRX. 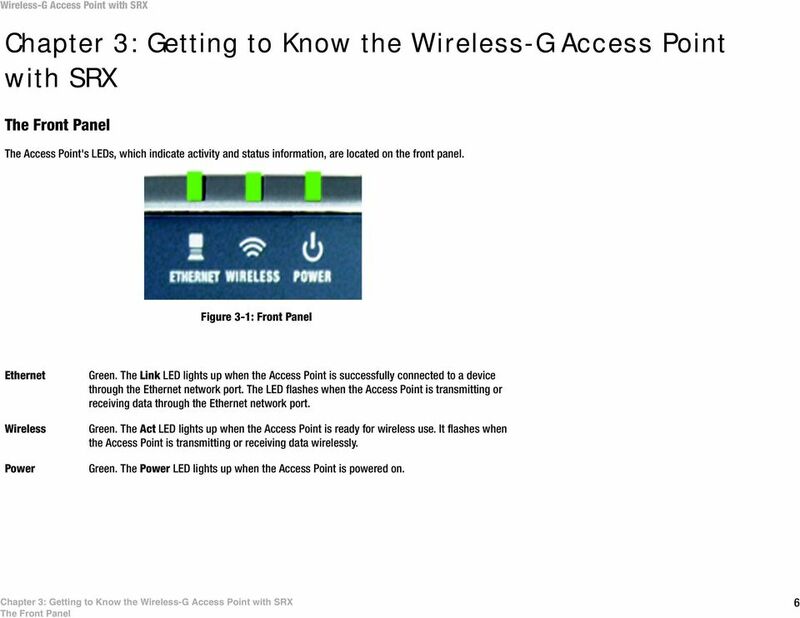 User Guide WIRELESS WAP54GX. Model No. 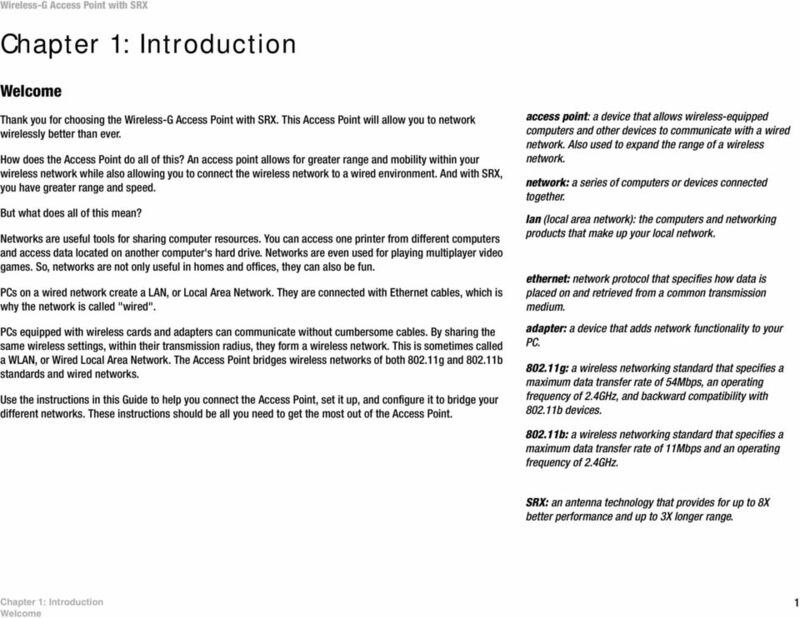 Download "A Division of Cisco Systems, Inc. GHz 2.4 802.11g. 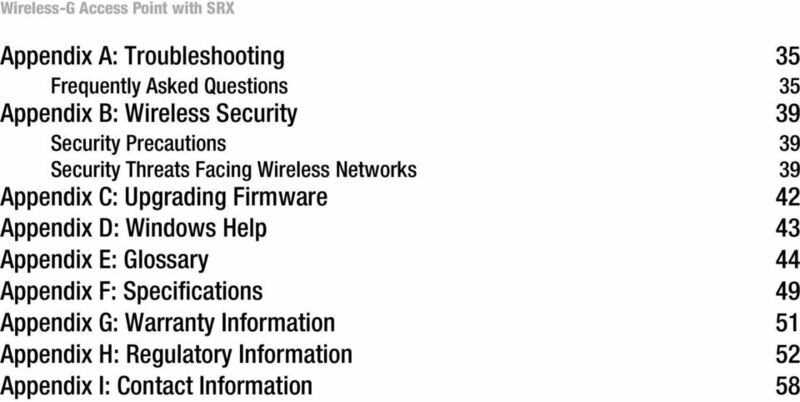 Wireless-G. Access Point with SRX. 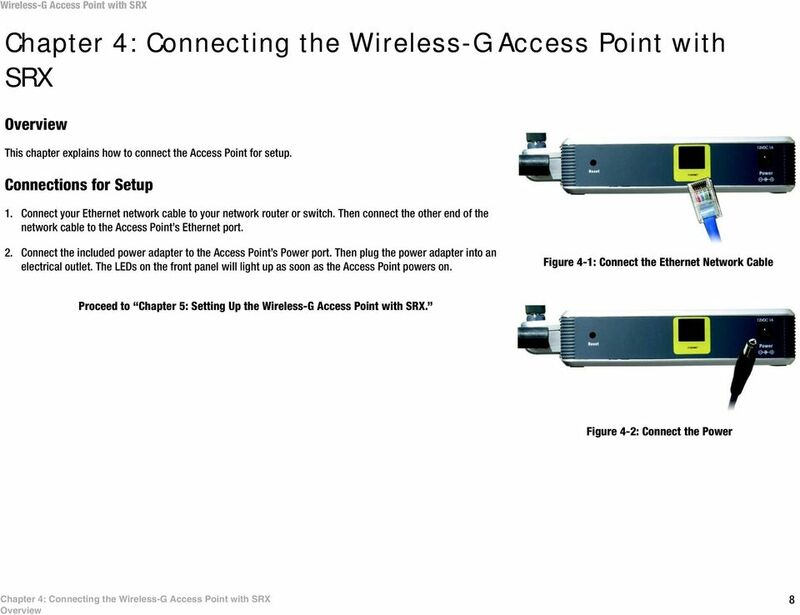 User Guide WIRELESS WAP54GX. Model No." A Division of Cisco Systems, Inc. GHz 2.4 802.11g. Wireless-G. USB Network Adapter with RangeBooster. User Guide WIRELESS WUSB54GR. Model No. A Division of Cisco Systems, Inc. GHz 2.4 802.11g. Wireless-G. PCI Adapter with RangeBooster. 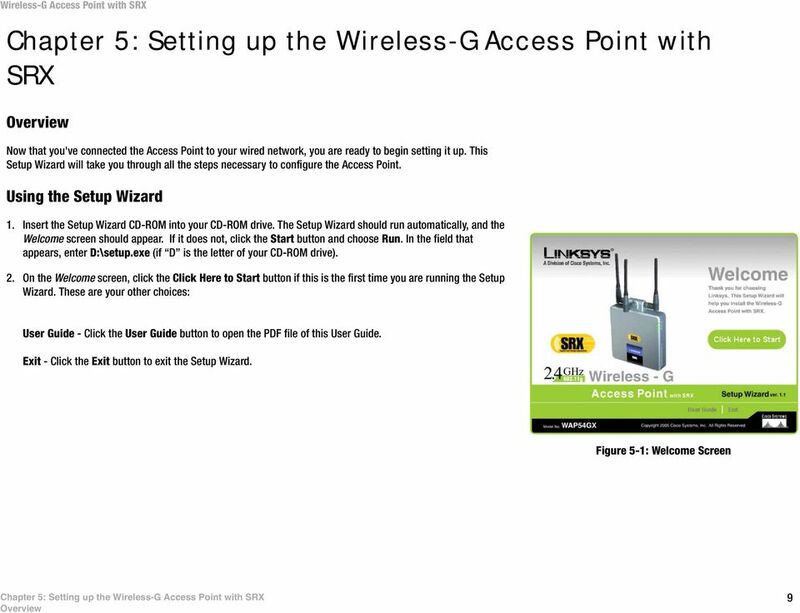 User Guide WIRELESS WMP54GR. Model No. 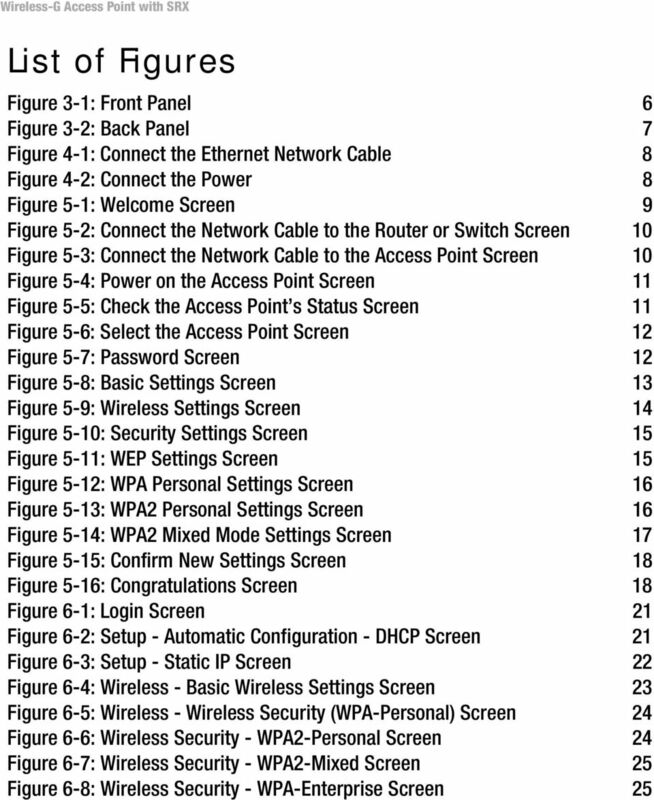 A Division of Cisco Systems, Inc. GHz 2.4 802.11g WIRELESS Wireless-G PCI Adapter with RangeBooster User Guide Model No. WMP54GR Copyright and Trademarks Specifications are subject to change without notice. A Division of Cisco Systems, Inc. GHz 2.4 802.11g. Wireless-G. User Guide. 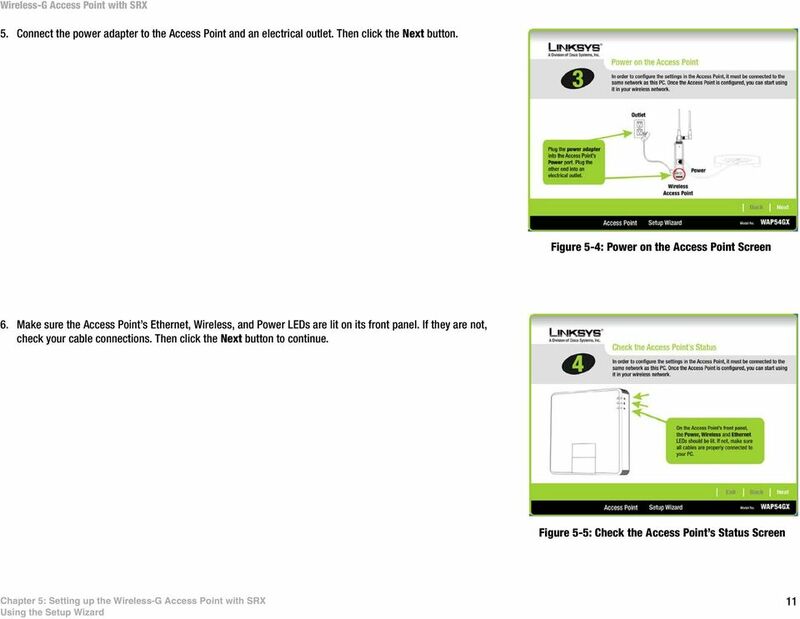 Access Point with Power Over Ethernet WIRELESS WAP54GP. Model No. Wireless-N. User Guide. PCI Adapter WMP300N (EU) WIRELESS. Model No. A Division of Cisco Systems, Inc. GHz 2.4 802.11g. Wireless-G. PCI Adapter. 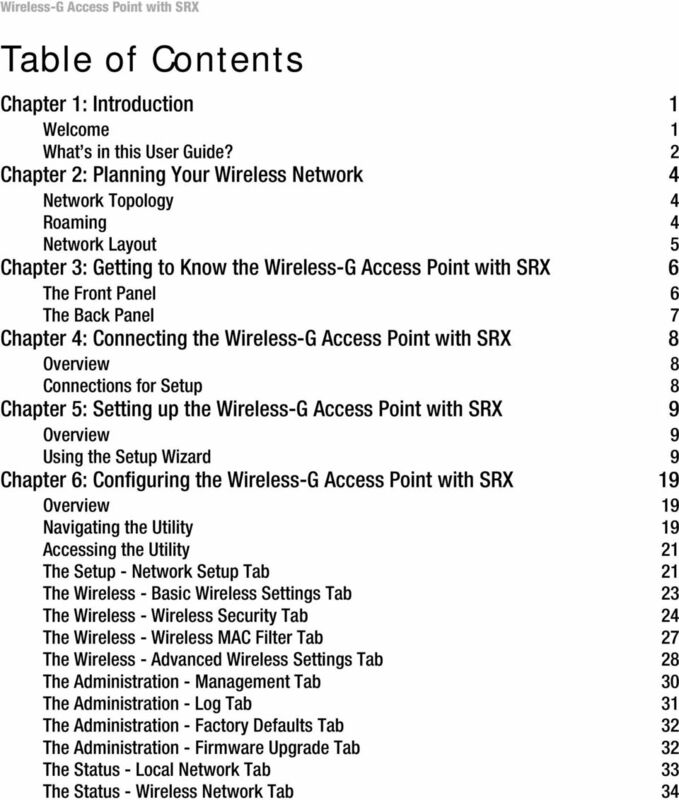 User Guide WIRELESS WMP54G. Model No. A Division of Cisco Systems, Inc. Wireless-G. User Guide. Broadband Router WIRELESS WRT54GL (EU/LA) Model No. A Division of Cisco Systems, Inc. GHz 2.4 802.11g. Wireless-G. User Guide. Broadband Router WIRELESS WRT54GL. Model No. A Division of Cisco Systems, Inc. Wireless A/G. 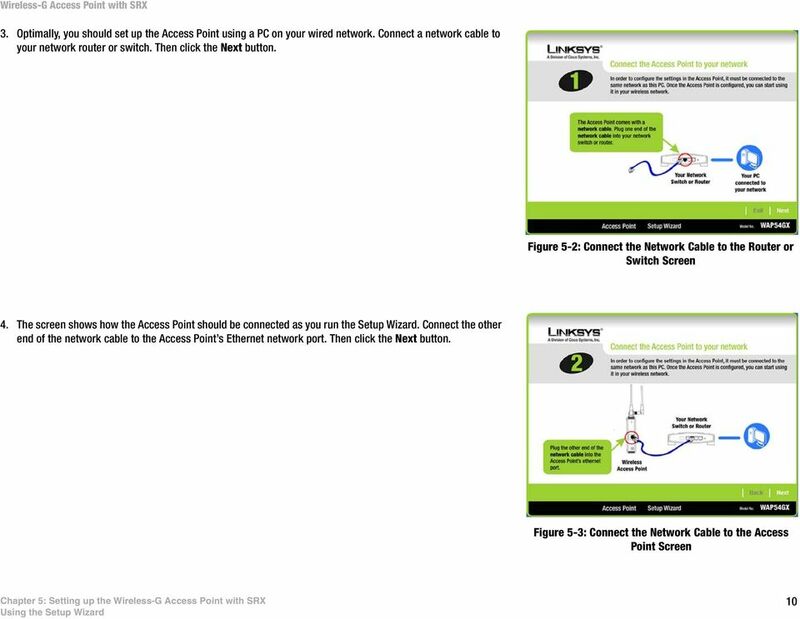 USB Network Adapter. 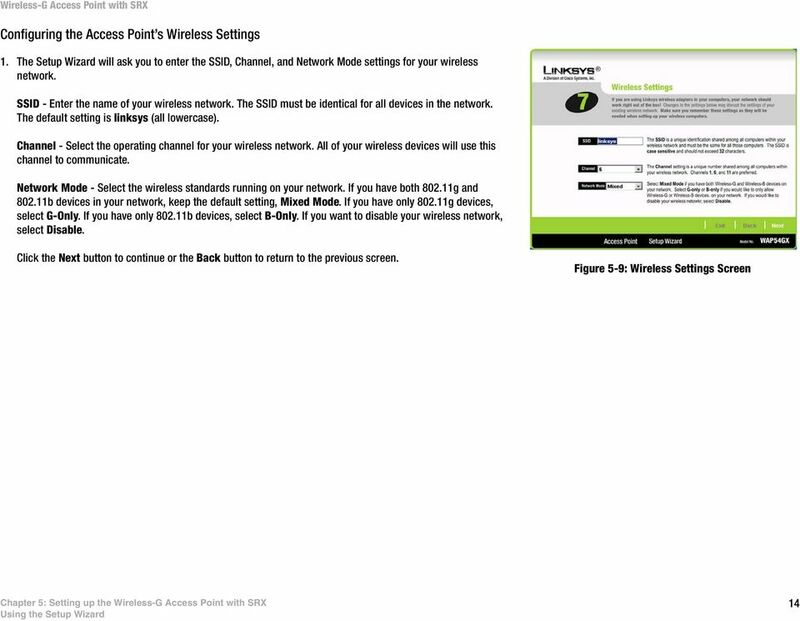 User Guide WIRELESS WUSB54AG. Model No. 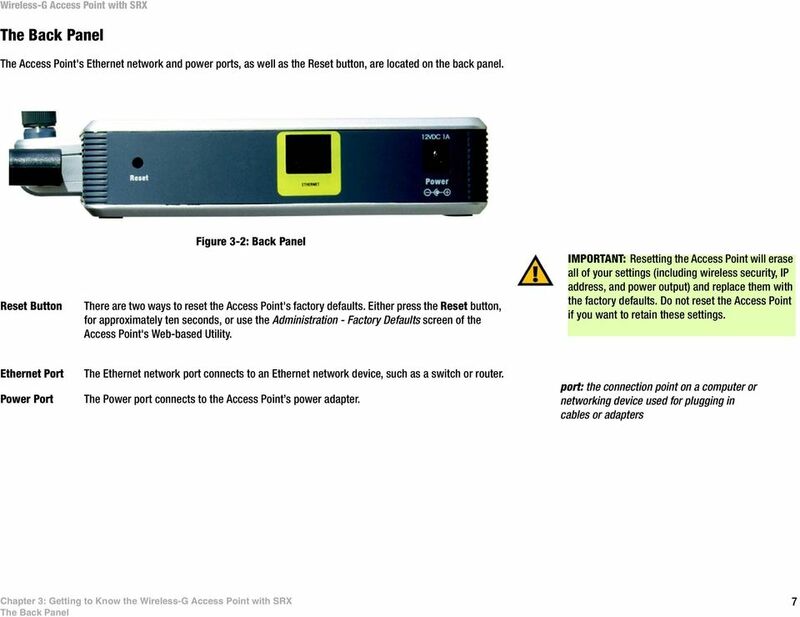 Wireless-N Access Point with Power Over Ethernet with 4-portuter Ports USER GUIDE BUSINESS SERIES Model No. WAP4400N Wireless Copyright and Trademarks Specifications are subject to change without notice. A Division of Cisco Systems, Inc. GHz 2.4 802.11g. Wireless-G. User Guide. Ethernet Bridge WIRELESS. WET54G v3. Model No. A Division of Cisco Systems, Inc. GHz g. Wireless-G. User Guide. 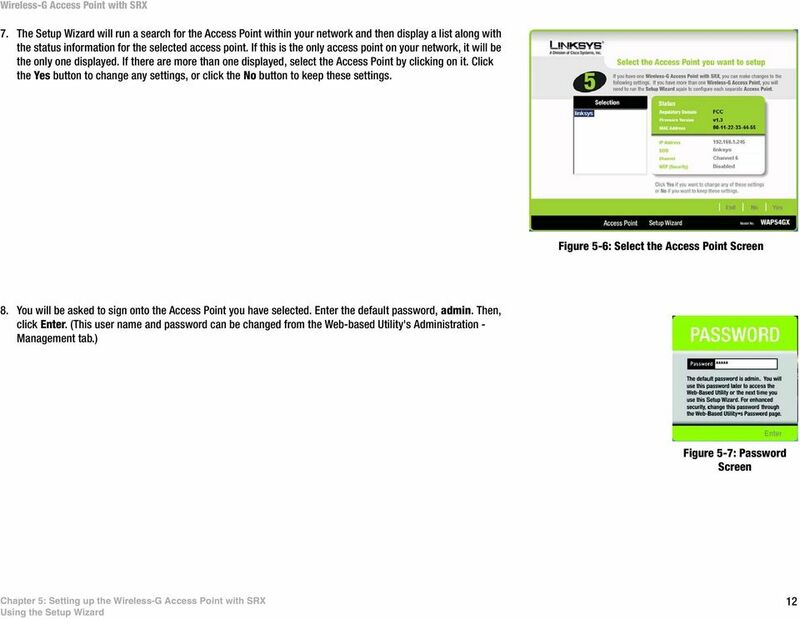 Access Point WIRELESS. WAP54G v2. Model No. Wireless-G Business PCI Adapter with RangeBooster USER GUIDE BUSINESS SERIES Model No. WMP200 Wireless Model Model No. No. Copyright and Trademarks Specifications are subject to change without notice. GHz 2.4 802.11g. Wireless-G. User Guide. Broadband Router WIRELESS WRT54G. Model No. Wireless-N. User Guide. Broadband Router WRT300N WIRELESS. Model No. Wireless-N. User Guide. Broadband Router WRT300N (EU/LA) WIRELESS. Model No. Wireless-G. GHz 2.4 802.11g. Broadband Router with 2 Phone Ports. 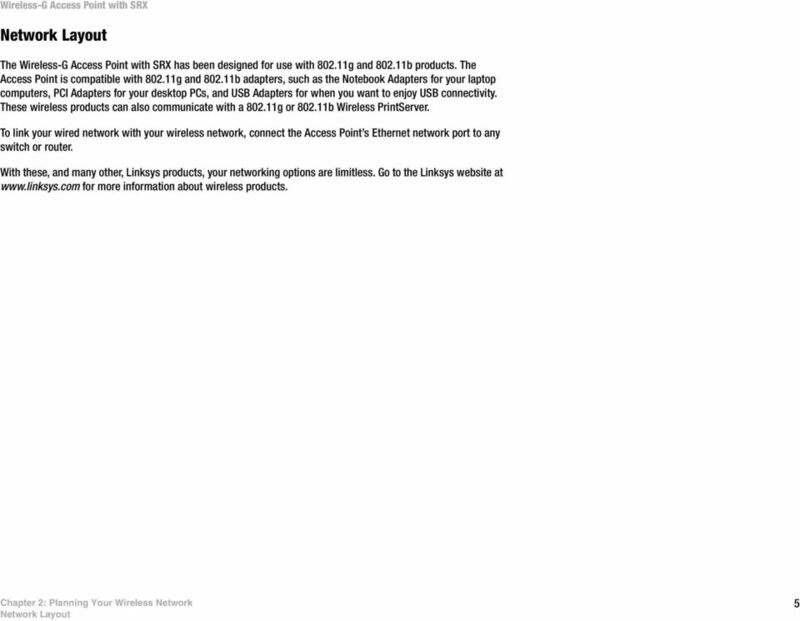 Installation and Troubleshooting Guide WRTP54G. A Division of Cisco Systems, Inc. 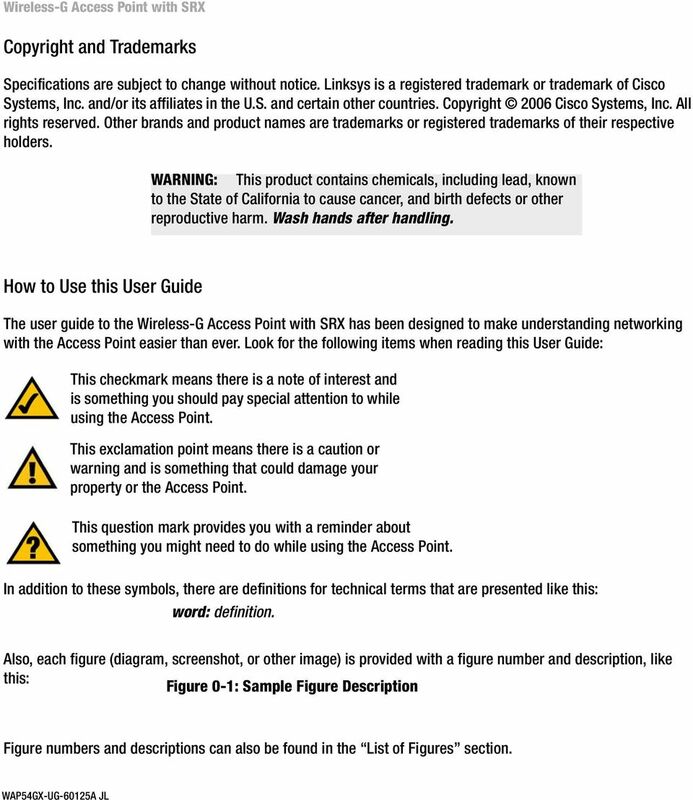 USER GUIDE Cisco Small Business WBPN Wireless-N Bridge for Phone Adapters December 2011 Cisco and the Cisco Logo are trademarks of Cisco Systems, Inc. and/or its affiliates in the U.S. and other countries. A Division of Cisco Systems, Inc. GHz 2.4 802.11g. Wireless-G. Broadband Router with 2 Phone Ports. Voice. 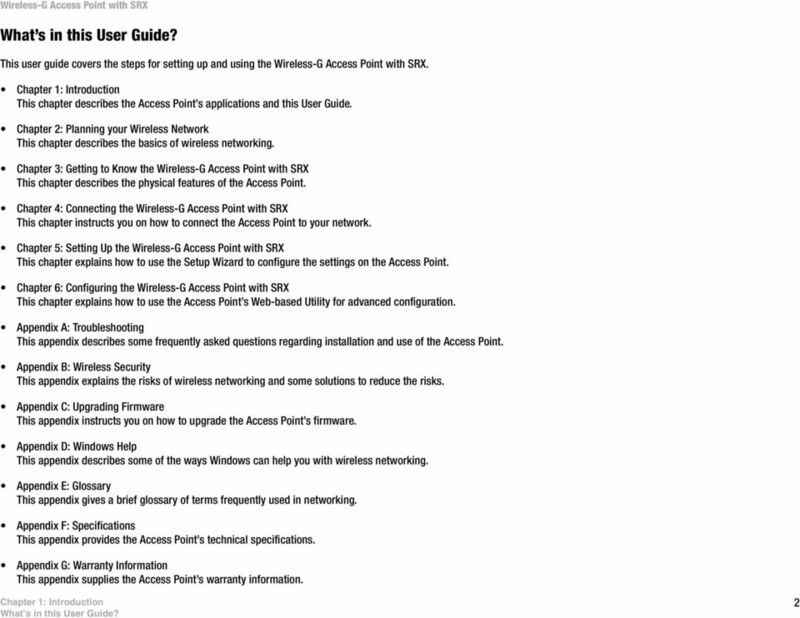 User Guide WRTP54G. Model No. A Division of Cisco Systems, Inc. Compact. Wireless-G. 802.11g. User Guide. Internet Video Camera WIRELESS WVC54GC. Model No. A Division of Cisco Systems, Inc. Compact 2.4 GHz 802.11g WIRELESS Wireless-G Internet Video Camera User Guide Model No. WVC54GC Copyright and Trademarks Specifications are subject to change without notice. A Division of Cisco Systems, Inc. GHz 2.4 802.11g. Wireless-G. User Guide. Broadband Router WIRELESS. with SpeedBooster WRT54GS. Model No. A Division of Cisco Systems, Inc. GHz 2.4 802.11g. Wireless-G. Bridge for Phone Adapters WIRELESS. User Guide. WBP54G v2. Model No. 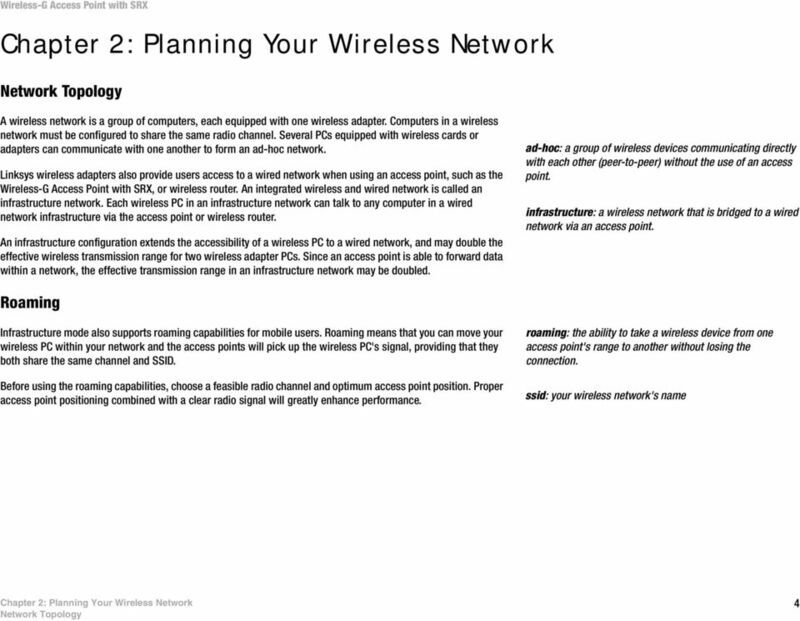 A Division of Cisco Systems, Inc. GHz 2.4 802.11g WIRELESS Wireless-G Bridge for Phone Adapters User Guide Model No. WBP54G v2 Copyright and Trademarks Specifications are subject to change without notice. A Division of Cisco Systems, Inc. GHz 2.4 54Mbps. Wireless-G. User Guide. Broadband Router WIRELESS WRT54G. Model No. GHz g. Wireless-G. User Guide. PTZ Internet Camera with Audio WIRELESS WVC200. Model No. Table of Contents. 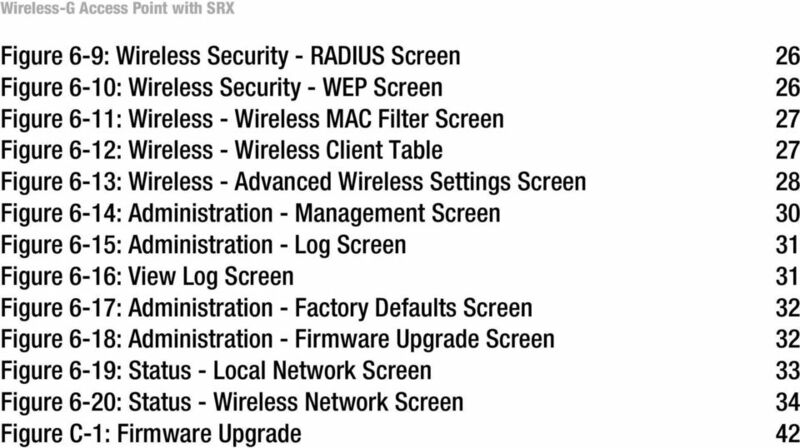 Wireless Security...40 What is WEP?...40 Configure WEP...41 What is WPA?...42 Configure WPA-PSK (Personal)... 43. A Division of Cisco Systems, Inc. GHz 2.4 802.11b. Wireless-B. User Guide. Ethernet Bridge WIRELESS WET11. Model No. Management Software. 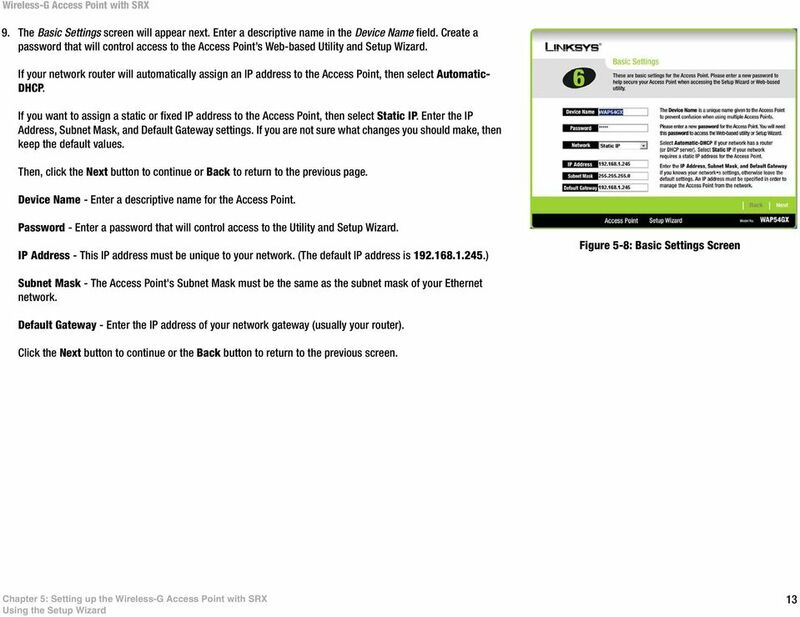 Web Browser User s Guide AT-S106. For the AT-GS950/48 Gigabit Ethernet Smart Switch. Version 1.0.0. 613-001339 Rev.